Emily Prentiss | who got the power? Do toi like Emily as the FBI BAU Unit Chief of BAU? Does anybody want to write a Fanfic with me? Yes, I&# 39; ll send toi a message! Round 3: Who do toi think Emily is closer to? morgan ou Garcia? Round 3: Who do toi think Emily is closer to? Hotch ou Reid? Round 3: Who do toi think Emily is closer to? Rossi ou JJ? Anyone else get the feeling that they aren't going to kill Prentiss? I feel like they're going to trick us ou something. As she stared out the window of the jet, Emily Prentiss was not focusing on the stars ou the twinkling lights of civilizations that rushed past below. She was tying to think of a word. Considering her considerable linguistic skills, it was unusual that one would elude her. But this subject matter was not easily defined. She knew if she turned her head, she would see him. But every aspect of his face was already burned into her being. Her head came up slightly as she figured it out. Emily honestly did not dislike Valentine’s Day. She actually enjoyed it; she being a bit of a hopeless romantic at heart. The jour usually put those around her in good spirits, spreading l’amour and joy and friendship. And the chocolat was also a plus. As I help the little girl out of the car, reassuring her that everything is going to be okay, I notice that morgan is talking to the boy. I can’t hear what he is saying but I think I know, as soon as I see him handing Tyler his name card. It is nice of him – and I know it means a lot for the boy, too. At least now he has something – ou someone – to turn to. Emily brushed a strand of dark hair aside with the back of her hand. She rested her arms on her legs, leaning vers l'avant, vers l’avant in the hard, plastic chair. She stared intently at the prone man before her. His face displayed a false sense of calm, the tightly gripped lit sheet in his left hand revealing his inner turmoil. “Abby, I don’t get it,” Darryl stated quietly as he sat up in lit and watched his fiancé fret. “What’s not to get Darryl? I want to know who my birth parents are,” she replied, annoyed par his reaction. Written par dancerindisguise on fanfiction.net. a poll a été ajouté: Do toi like Emily as the FBI BAU Unit Chief of BAU? 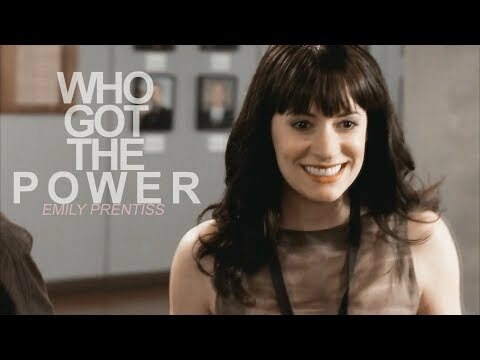 a video a été ajouté: Emily Prentiss | who got the power? a comment was made to the poll: Do toi ship Emily with someone? What're toi lookin' at Legs?! What're toi lookin' at Princess?! What're toi lookin' at Pretty?! What're toi lookin' at Fed?! 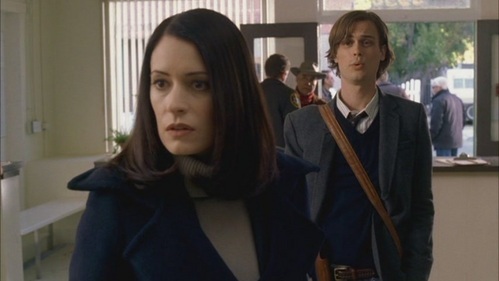 AU Shipping- Emily Prentiss and ?